Scott Monty, the head of social media for Ford, participated in a Twitter 20 interview on October 23 and answered a wide range of questions about social media at big companies, and his ideas for the future of conversation marketing. Scott and myself and 248 other lucky folks were in Scottsdale for the Marketing Profs Digital Marketing Mixer. 1. @jaybaer: How do you describe your role at Ford? 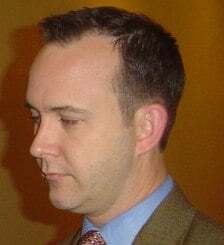 @scottmonty Strategist, evangelist and advisor within the the entire organization. My job, ultimately, is akin to a conductor of an orchestra. 2. @jaybaer: This is a new role within Ford? How did they handle social media before you arrived? @scottmonty It’s a new role; previous SM work was handled by Social Media Group, our agency of record. Their CEO @maggiefox is my #1 advisor. 3. @jaybaer: A lot of talk at this #mpdm conference about setting social media objectives. Do you have one for Ford, or several? @scottmonty We’re creating a global corporate social media strategy to guide us in everything we do. All depts, audiences, regions = complex! 4. @jaybaer: Auto is a many layered business. How do dealers view your work? Are they aware? Can and do they do their own social media? 5. @jaybaer: Interesting point about CRM. Do you feel social media is more an acquisition tactic or retention and brand loyalty tactic? @scottmonty To hang myself with? 😉 Good news: I’m the sole appointed expert. Bad news: I’m only one person and I’m in constant demand. 7. @jaybaer: The company has a lot of agencies and other marketing programs. Do you actively coordinate the social media efforts with them? @scottmonty Yes. I sought out the Digital Marketing team early on and have connected with their agencies. International efforts are up next. 8. @jaybaer: You were at Crayon, a social media strategy firm previously. Differences in the in-house and out-of-house SM process? @scottmonty It’s much more complex internally than I had assumed as an external consultant. IT, legal, and general corporate politics abound. 9. @jaybaer: What social media programs/plans are you rolling out for Ford that have you excited (other than free Ford Flex rides at #mpdm)? 10. @jaybaer: In terms of your Twitter strategy, is it de-centralized? Several people, several accounts? How do you staff it? 11. @jaybaer: There’s talk about companies cutting SM budgets because it’s “experimental”. How do you balance SM and today’s auto climate? 12. @jaybaer: Some say (including here at #mpdm) “Sure he can do it, he’s at Ford. I’m a small biz, I don’t even know the 1st step.” What is step 1? @scottmonty Step 1 is to find where your customers are online, and become part of that community. Listen, listen, listen. Then jump in. 13. @jaybaer: In today’s #mpdm luncheon @garyvee talked a lot about passion. Why are you passionate about social media? @scottmonty I’ve seen it as the future of marketing & communications for some time. And it’s all about talking with people, which I enjoy. 14. @jaybaer: I agree that SM is the future of marketing, but when will that future arrive? Still people not online, much less Soc Media. @scottmonty My best guess is some time within the next 3 years. I’d watch what happens in the newspaper industry as an indicator. 15. @jaybaer: Are you more of a Ford Flex guy or a 2010 Mustang guy? What else do you have coming out? 16. @jaybaer: Your travel schedule is onerous. Is that helping or hurting your social media outreach efforts? Wi-Fi in the new Mustang! @scottmonty Now that would be dangerous! Ford & I both view my conference speaking gigs as a chance to tell Ford’s story & connect with people. 17. @jaybaer: You apparently have a Sherlock Holmes blog?http://bakerstreetblog.com Can you elaborate on that please? @scottmonty Another passion. I’m a member of the Baker Street Irregulars, the 75 year-old literary society. I merged my SM passion with that. 18. @jaybaer: It’s Elementary. You also have a co-blog with@cc_chapman on diners and dives (@diners). Recommended diners or go-to items? @scottmonty Diners are like politics – everyone has their preference, and all diners are local. I like the old Worcester diner car types. 19. @jaybaer: I imagine it’s been a bit of a whirlwind since you started at Ford (3+ months). What’s been most gratifying to-date? 1) The excitement of my arrival at Ford; 2) Seeing the faces of bloggers as they’ve had access to super-secret areas at events. 20. @jaybaer: The rules are still being written. What bugs you? If you could outlaw one component of social media, what would it be? @scottmonty Tough question. I suppose the general level of snarkiness & excoriation that happens on some sites. But that’s just human nature.